Today is Sneak Peek Tuesday - the day of the week on which you get a chance to buy an item, which is not going to be available again until a month from now! 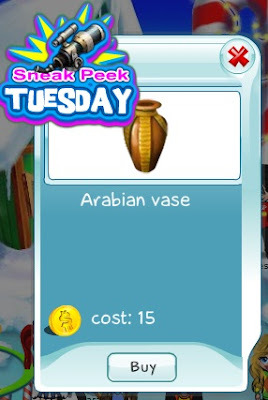 Don't miss the opportunity to decorate your home with this unique Arabian Vase. You only have by the end of today to purchase it, so don't postpone it for later!